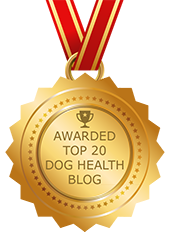 Top Veterinary Articles of the Week: Vitamin E, Degenerative Myelopathy, and more ... | Dawg Business: It's Your Dog's Health! I do supplement Cookie's diet with vitamin E in the form of wheat germ oil, and I use it topically on some wounds. As a dietary supplement, I prefer using a whole food supplement. For topical application, I don't mind whatever capsules we find in a grocery store. I wrote an article elaborating on the upside of using whole food supplements. There is a specific section about vitamin E in the article. Good food sources of vitamin E are oils, nuts, organ meats, eggs, blackberries and green leafy vegetables. 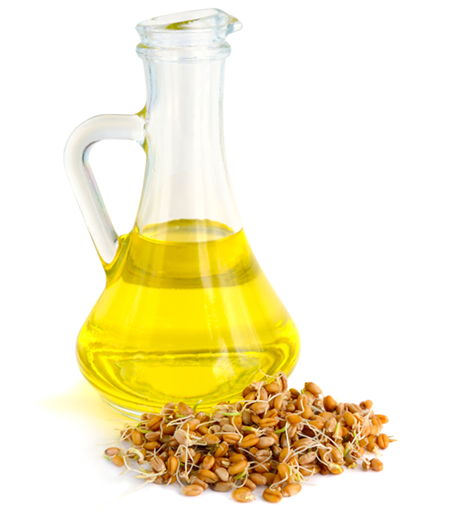 Vitamin E is known for its function as an antioxidant. But the benefits go beyond that. Among other things, it also promotes tissue repair, hence also the topical use. Vitamin E also has a symbiotic relationship with omega-3 fatty acids, in other words, if you're supplementing fish oil, you might look into providing a source of vitamin E as well. Of course, all is best in moderation and determined based on your dog's individual needs and health status. My friend, PT Sue, wrote two great articles about degenerative myelopathy from the point of view of physical therapy; I recommend you check them out. 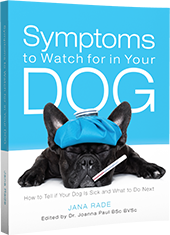 In his article, Dr. Byers provides a comprehensive overview what this disease is and what it means for your dog. Simplified to the extreme, what happens that a protective covering that covers the nerve fibers in the spine gets damaged, which results in dysfunction of the nerves themselves. The condition is degenerative and progressive, meaning it only gets worse, eventually resulting in paralysis. Surprisingly, though, you would expect this to be painful, but it is not. Not in itself. However, compensation can lead to pain in other areas of the body. Read Dr. Byers' explanation of the disease and insights on what to expect and what to do. There are many medications used for dogs that are the same as in human medicine. A lot. The number of medications designed specifically for veterinary use is relatively small. Antibiotics, which is what Amoxicillin is, are the same no matter who they are used for. That's why it can be appropriate to ask your veterinarian to write a script for your local pharmacy, where you can often get it cheaper. We often got antibiotics for our dogs prescribed to a local pharmacy. Jasmine did get amoxicillin a few times. However, I would never use antibiotics without a correct prescription from a vet. The type, dosage, and duration are important. And if you find yourself tempted to give your left-over antibiotics to your dog, how the heck do you have left-over antibiotics in the first place? Eat your antibiotics yourself and get a prescription from your veterinarian if appropriate for your dog. Itchy dogs. Is it just me or does every other dog have problems with allergies and other skin-related ailments? It is by far the most common topic people bring up in my Dog Health Issues group. The University of Nottingham has launched The Itchy Dog Project, and you can help. Dog lovers who own Golden Retrievers and Labradors are being invited to take part in new research into canine atopic dermatitis — otherwise known as skin allergy. The Itchy Dog Project is being launched at this year’s Crufts Dog Show by veterinary researchers at The University of Nottingham’s Vet School. The team is looking for dog owners to take part in the study which can all be done online. The aim of the project is to investigate the potential genetic and environmental causes of canine atopic dermatitis and to develop a strategy to reduce the number of dogs affected by the disease. The researchers are asking owners to register online to take part, even if their dog does not have an itching problem. You can register to take part of this important research here.